Most students know that Napoleon was defeated at Waterloo. Very few realize that his last victory, 2 days before, lead to his ultimate defeat. Early on the morning of June 15, 1815 the forces of France under the command of their Emperor Napoleon crossed the River Sambre and entered Belgium. The area just north of the Sambre was held by the Prussian I Corps commanded by Gen. Ziethen. 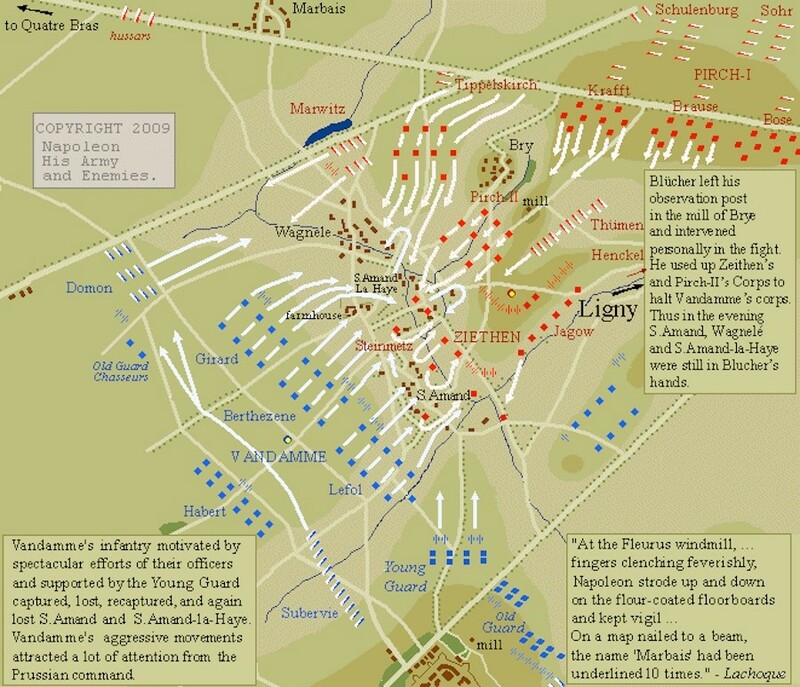 (The Battle of Ligny, the largest of the 3 battles fought by the French vs Prussian is portrayed in “Black Eagles Over Belgium” by Legion Wargames.) The outposts in and around Charleroi were lightly defended. I Corps had been ordered to fall back as the French advanced, but to fight as they yielded territory. 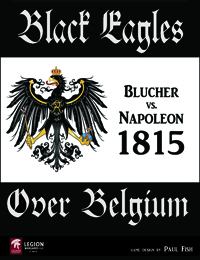 Napoleon had planned to engage the Prussian forces north of Charleroi and defeat them badly enough that they would retreat all the way back to their base in Liege or even back to the Rhineland. He then felt that he could then turn and attack the British, Dutch and Belgium forces near Brussels and take that city as well. Right from the start things did not well for the French. 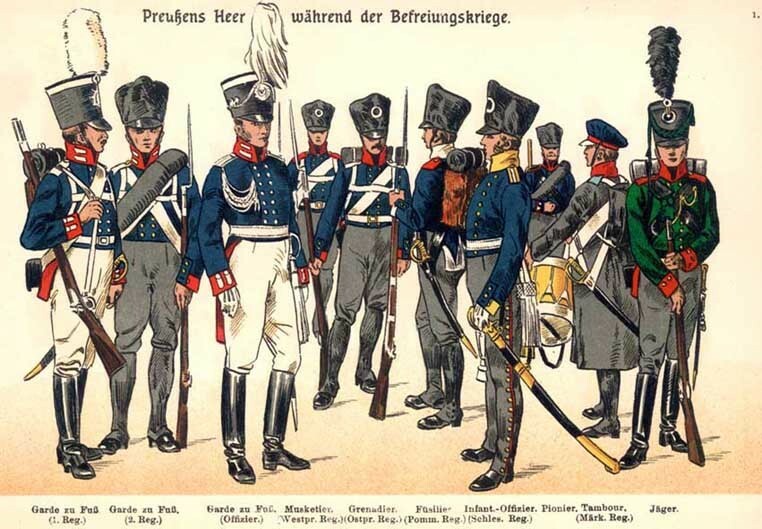 On June 14th, some French deserters arrived within the Prussian lines. They reported that the French Army was set to move on the morning of the 15th. Gneisenau issued orders from the Prussian headquarters in Namur for II, III and IV Corps to mass their regiments and move westward. Ziethen’s I Corps was to hold its position and guard the river line along the Sambre. This Corps waited and listened for movement all night long, on the evening of the 14th. At 2:30 am the first of the French horsemen crossed the river and advanced into the uncertainty of the Belgium countryside. The sky lightened at 3:45 am, with a mist and light rain falling. The first shots were fired at 4:00 am as the cavalry pushed up against the Prussian outposts. Prussian cannons began firing within minutes of the first shots being fired. The French had problems with coordination of movement. One of the officers bringing the orders of movement to III Corps had fallen off his horse and broke his leg. That column was slow to move and fell far behind the other Corps. Infantry officers complained that the tracks that did exist were reserved for the artillery and the cavalry. The poor foot soldiers had to march through muddy fields. They were not able to keep up with the faster moving units. Prussian skirmishers would popup to clash with the advancing French, further slowing down their progress. By 11:00 am, the Imperial Guard sappers and marines arrived at Charleroi. They found the bridge over the River Sambre intact. They stormed across and pushed the few Prussian defenders back. The Prussian engineers were unable to destroy the bridge due to lack of time and equipment. The large number of French troops arriving at the lone bridge soon caused a traffic jam. Napoleon sent one Corps down the river to find another place to cross. 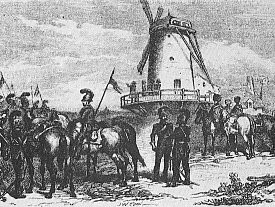 The entire French army was able to cross the river by late in the afternoon of June 15th. Napoleon then split his force into two wings; the Left Wing under Marshal Ney was to advance to Quatre Bras and the Right Wing under Marshal Grouchy to march to Sombreffe. On the north side of the river Blucher learnt of Napoleon’s advance by 9 AM. He began to concentrate his army around Sombreffe which lies 11 miles northeast of Charleroi. Ziethen’s I Corps was doing its job to delay the French advance while the rest of the army moved to concentrate. The French plan was to move fast to take Quatre Bras that evening and march on Brussels in the morning. Ney was slow getting his men close to the town and halted for the night a few miles south of Quatre Bras. Napoleon spent the night of the 15/16th in Charloi, while Blucher slept in Sombreffe and Wellington was in Brussels. Wellington first heard about the fighting between Ziethen’s troops and the French at about 5 PM. He was dining with the Dutch Prince of Orange. Both men were planning on attending the Duchess of Richmond’s Ball that evening. Over the course of the next 2 hours, conflicting reports arrived at the headquarters. Wellington did not move his army eastward to support the Prussians, but he did order his men to muster for movement in the morning. His orders omitted to cover the Charleroi-Brussels Road. If Ney had marched forward as he had been ordered he would have found the crossroad town of Quatre Bras unguarded. Fortunately for the Allies, two Dutch generals, Jean-Victor de Constant-Rebecqu and Henri-Georges de Perponcher, ignored Wellington’s 7:00 pm orders to concentrate the 2nd Dutch-Belgium Division at Nivelles. Instead they saw the importance of the crossroads and moved to Quatre Bras. When Ney did advance into the crossroads in the morning he found the Dutch-Belgium troops there to oppose him. Blucher and the Prussians made good use of the time that they had before the battle was to begin. 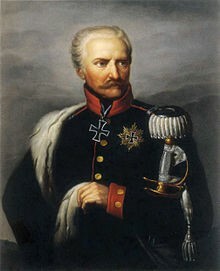 Blucher and Gneisenau had decided on the 14th that the attack was coming at any moment. They therefore ordered the army to begin its concentration toward Sombreffe. That town had been picked back in May as the place to hold off the French if they crossed at Charleroi. Ziethen’s I Corps had successfully fought an organized retreat. This allowed the other Corps to advance to Sombreffe. Ziethen spent the night of the 15/16th just north of Fleurus. Dawn broke at 4:00 am on the morning of June 16, 1815. Ziethen’s Chief of Staff, Lieutenant-Colonel Ludwig von Reiche, had asked Gneisenau to withdraw his troops to a position north of Ligny brook. Gneisenau had refused the night before to allow the move. In the morning with Blucher in attendance the 3 men agreed to the move behind the brook, which was a natural obstacle. At 5:00 am I Corps was in position north of the Ligny brook. The French outposts reported the movement of Prussian troops heading toward the villages of Ligny, Brye and St Amand. Grouchy reported this on to Napoleon at Charleroi. The French army moved forward from its position near Fleurus. Napoleon joined Grouchy as the army advanced. Napoleon believed that his lighting stroke of the 15th had surprised his enemies. He was sure that they would each retreat along their respective lines of communication and fall back into Holland. He had two goals. Firstly, he intended to occupy Brussels and secure the rest of Belgium for the French. Secondly, to fight and inflict as much damage as possible on the two opposing armies. Napoleon was following his ‘divide and rule’ strategy. To accomplish this he needed to seize the vital Nivelles-Namur Road. This road provided lateral communications between his two wings at Quartre Bras and Sombreffe. Through his Chief of Staff, Marshal Soult, Napoleon issued orders to the commanders of the two wings, Marshals Ney and Grouchy for the seizure of this road. Grouchy was told that Napoleon himself would join the army at Fleurus. Between 6:30 and 8:00 am, Napoleon had received two messages from Grouchy indication that massed Prussian troops were near Sombreffe. 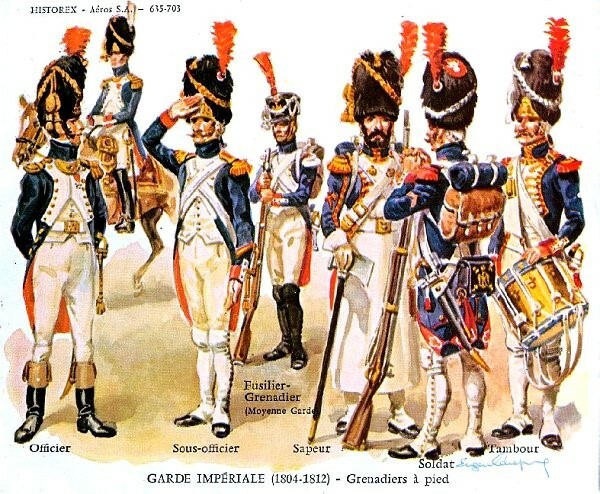 Napoleon believed that these men were only the rearguard of the Prussian army. He felt that Blucher would not risk a battle forward of Sombreffe because he would be too close to the main body of the French army. The French units were spread out between the River Sambra and Fleurus. 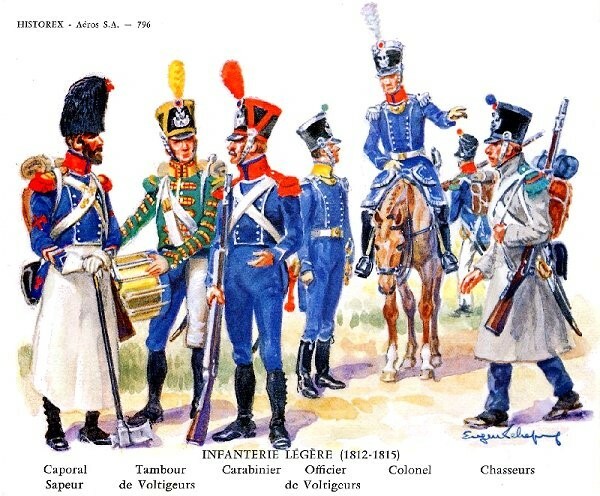 The cavalry of Pajol and Exelman were just to the south of Fleurus along with the infantry of Vandamme’s III Corps. Gerard’s IV Corps and Milhaud’s cuirassiers were still on the far side of the river. The Imperial Guard was masses near their Emperor at Charleroi. At 9:30 am Napoleon departed to join Grouchy at Fleurus. He left Lobau’s VI Corps at Charleroi as a reserve for either wing of the Army. There was a short fight in the town of Fleurus as Prussian 6th Uhlans entered the town from the north and the French entered from the south. French sharpshooter forced the Uhlans back out of the town. Covered by the 5th Dragoon and Nieman remaining units the Uhlans together with their 2 cannons made it safely to the Ligny brook and crossed to the north side. The French made slow progress north of Fleurus. 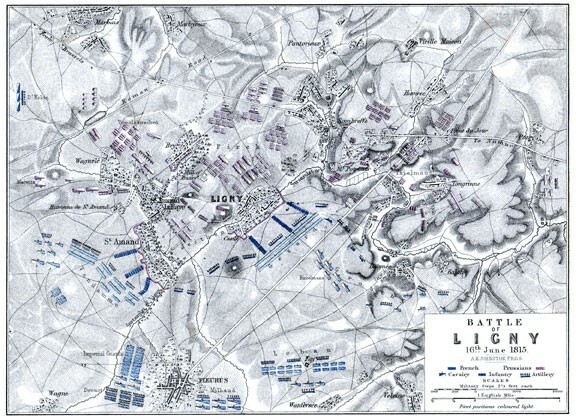 Girard’s division, detached from Reille’s II Corps, served as the left flank. Vandamme’s III Corps was in the center and two cavalry corps were on the right. Gordon and several orderlies had accompanied Baron Muffling, the Prussian liaison officer attached to the Duke’s army, to this meeting. Lieutenant-Colonel Reiche observed later that as the Duke and Blucher peered at the French formations, they were able to see Napoleon looking back at them with his field glasses. “Perhaps”, mused Reiche, “perhaps the eyes of the three greatest commanders of the age had their eyes directed on one another.” The meeting was conducted in French, as it was the only language common to all of the commanders. Accounts of the meeting vary, depending on whose version is being quoted. 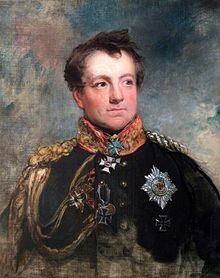 It’s generally felt that Wellington promised support for the Prussians later in the day. With this support coming later, Blucher felt ready to take on the French forces at Ligny. Both Wellington and Blucher would engage the enemy at 3:00 pm. It was hoped that by 4:00 pm or 4:30 the English would send troops to aid the Prussians and squeeze the French between them. Blucher deployed his units as follows; Pirch’s II Corps on the right flank defending La Haye and St Amand, Ziethen’s I Corps in the center defending Ligny, and Thielmann’s III Corps on the left flank defending Tongrenelle and Tongrinne. At 3:00 pm the battle began with 83,000 Prussians with 224 guns facing off against 63,000 Frenchmen with 230 guns. They were separated by a shallow valley and a narrow stream.